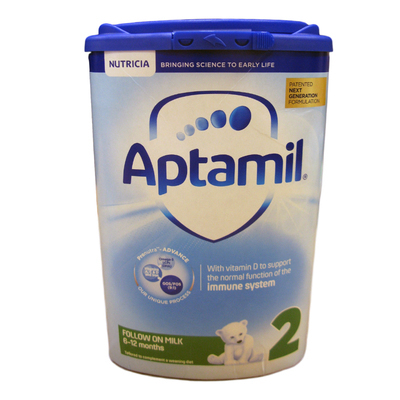 When it comes time to move on from breastfeeding, the Aptamil 2 Follow On Milk Powder will become an essential resource. Suitable for personal use or within nurseries, this nutritionally balanced formula has been designed to provide increase iron needed for brain development. In addition, it contains increased Vitamin D which is renowned for its support for growing bones and their very first baby teeth. It has been formulated for use in the early weaning stage and can be given alongside first foods and flavours. Immunofortis steps in to support the immune system and help to reduce the risk of serious illness in your little ones. This industry-leading follow on milk formula provides your children with the vitamins and benefits they need most. Here at Gompels, we have a selection of Baby Milk to support parents and early years educational institutes, including SMA or Aptamil options.